Direction for use: Apply first thing in the morning after gently cleansing skin and patting dry. Repeat at the end of the day before bed. Anti-oxidants are very popular because of their ability to protect skin and help it repair damage, but this serum goes further in calming redness, helping to fade dark spots, liver spots and photo-damage, lending deep natural moisture, and promoting smooth healthy skin. Other professional serums cost $100.00 or more, but Dual C +E +F is priced to bring the highest quality in antioxidant skin care to as many people as possible. We know you will enjoy it – if for any reason you are not completely satisfied, you can return the products within 30 days for a full refund. This is as noted above, a terrific antioxidant power serum that brightens and evens the overall skin-tone while reducing the occurrence blemishes, redness and inflammation. The results are even clear and smooth skin. Dual C +E +F is an effective Vitamin C serum proven to enhance collagen and tighten skin with a stable form of Vitamin C to increase cellular turnover. Protective Shield to protect from premature aging. Naturally occurring antioxidants are proven to heal and correct skin damage along with Hyaluronic Acid, which makes you look young and radiant glow. Improve skin texture and tightness by hydrating and fighting free radical damage, that attacks the skin through daily UV exposure. 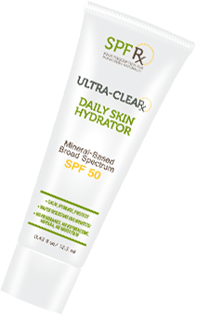 Improve skin clarity and brightness natural skin brighteners that reduce melanin buildup in the upper layers of skin; and Even skin tone by calming redness, soothing irritation and promoting general health and well-being of the skin and its underlying layers. Suitable for all Skin Types, both men and women to make the skin tighten, brighten, and smoother. And then, to provide natural cellular support for empowering these potent antioxidants to the areas where they are most effectively used, this serum provides natural Hyaluronic Acid support healthy skin function and moisturization. Hyaluronic Acid - The gold standard professional grade skin moisturizing agent, found naturally in healthy skin. The studies on the synergy of C plus E plus Ferulic is well known; together these ingredients give a greater brightening, smoothing and calming effect on the skin than the sum of each one separately. We have taken that learning - that it is not about putting the most of any one ingredient, but putting the optimum % of complimenting bio-nutrients into the serum.